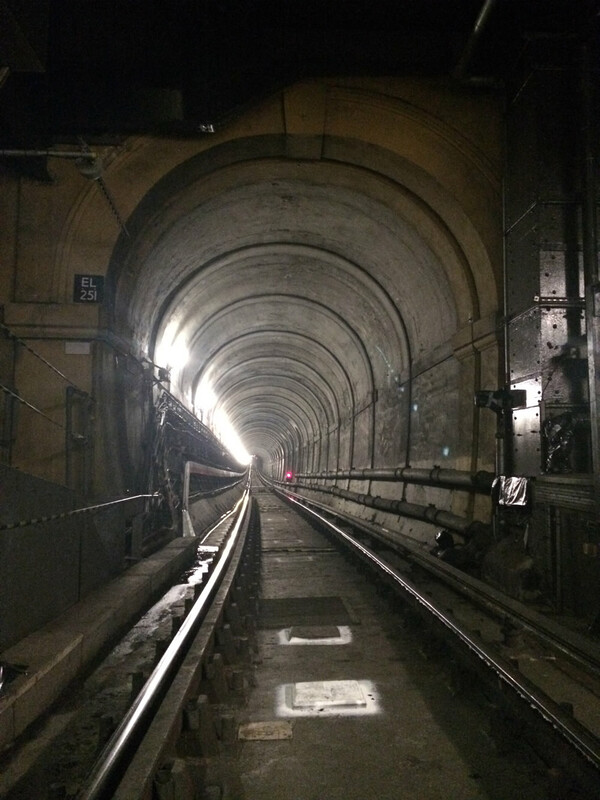 Last weekend presented a rare opportunity to actually get inside Marc Brunel’s Thames Tunnel. 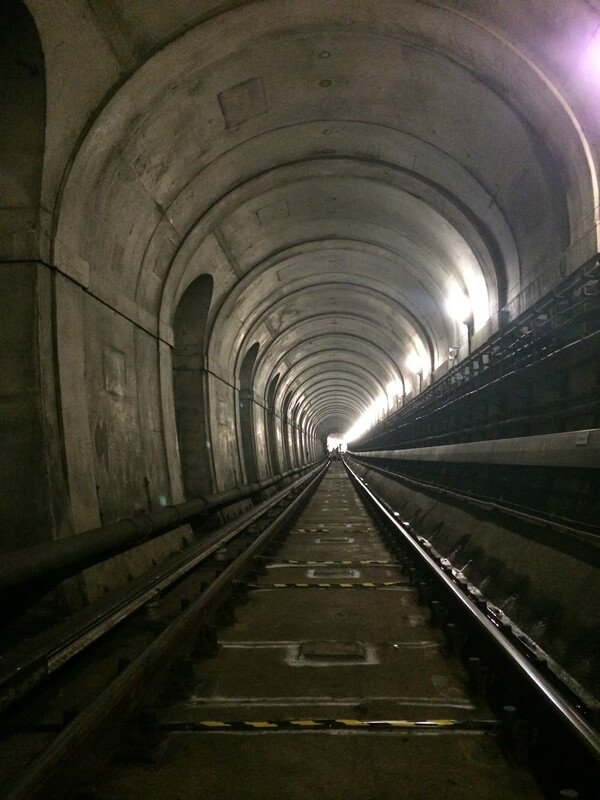 A temporary closure to facilitate works elsewhere on the East London Line allowed TfL to open it up to a limited number of visitors in order to help the Brunel Museum raise funds for some construction work. 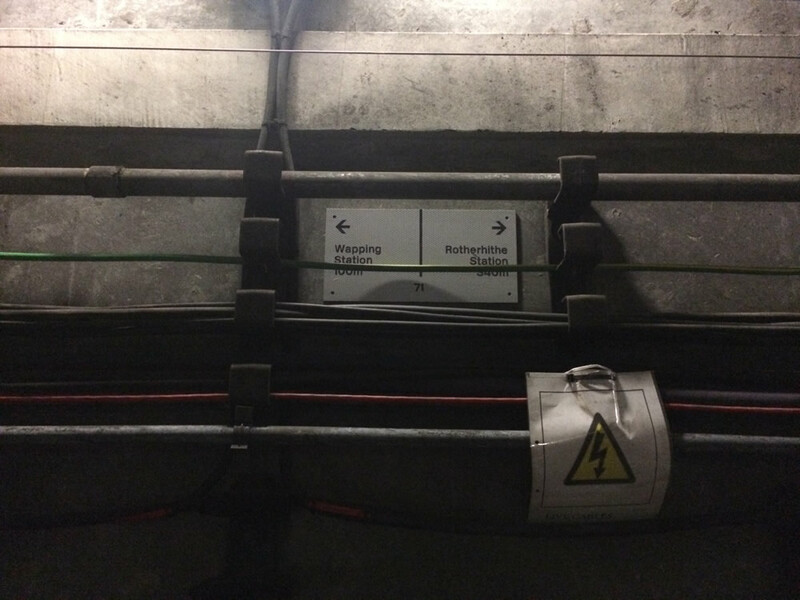 Perhaps unsurprisingly, LR were there – and thus below are a selection of photos showing the current state of the Tunnel. 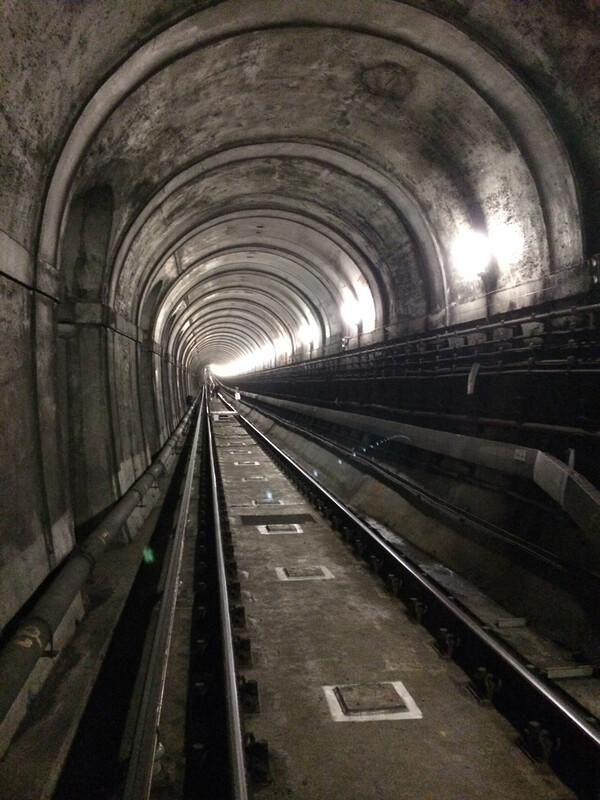 You can find out more about the Tunnel and its construction here. 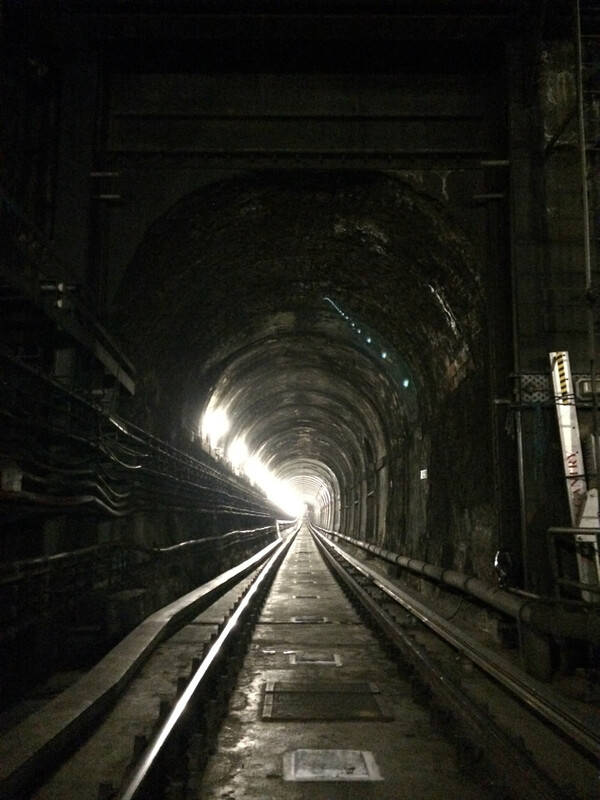 To facilitate railway access, the tunnel was extended slightly at the Rotherhithe end. 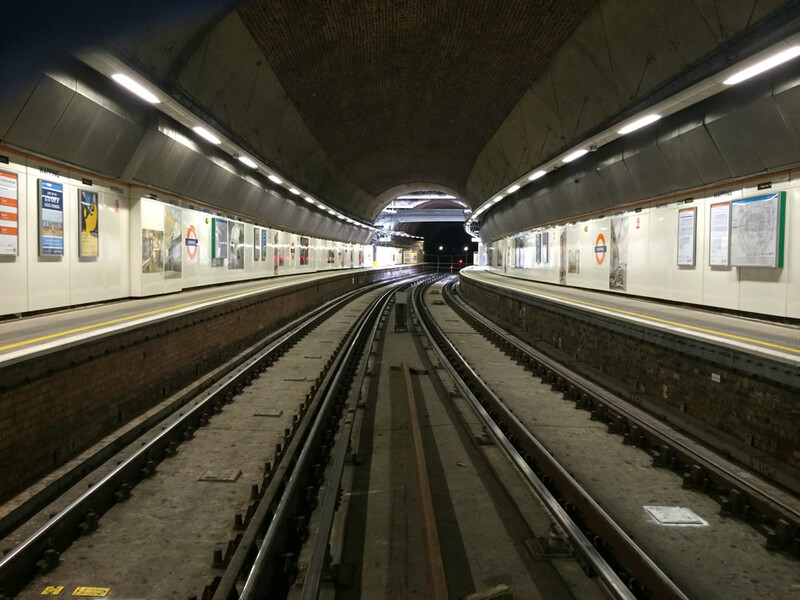 This is that extension (looking towards Rotherhithe station). 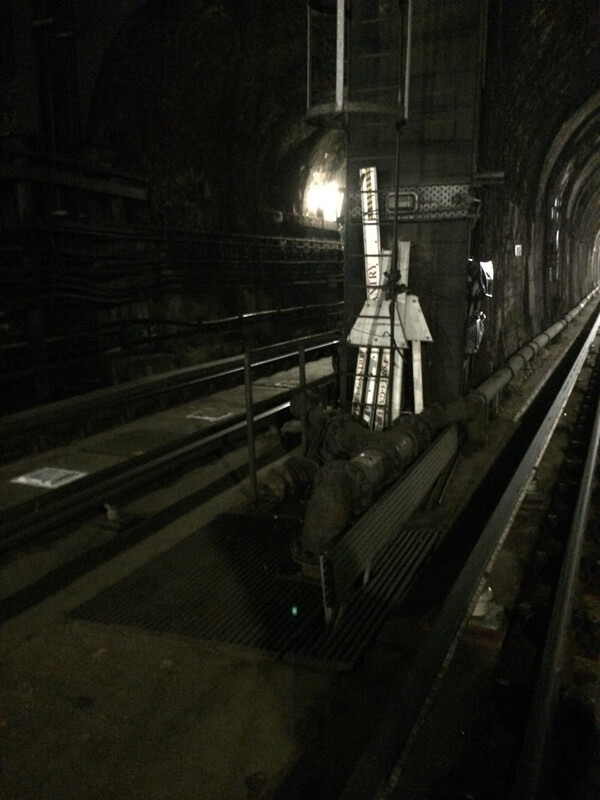 The entrance at Rotherhithe, with pumping machinery between the tracks. A closer view of the pumping equipment. 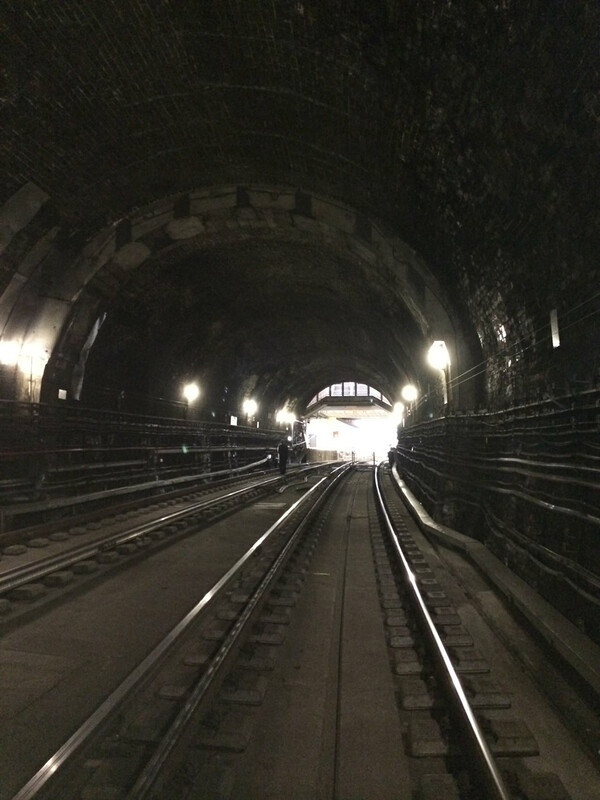 Looking into the tunnel itself from the Rotherhithe end. 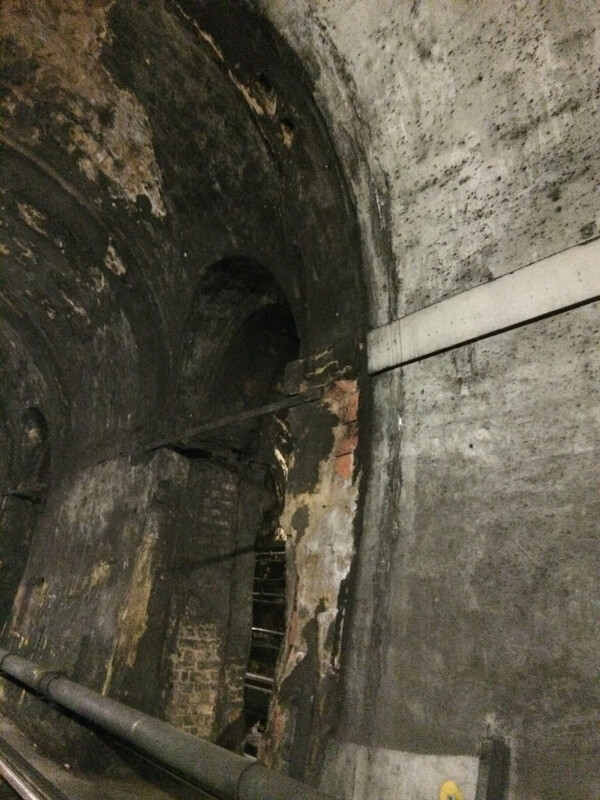 The first few arches are not restored, in order to preserve as much of the original tunnel lining as possible. 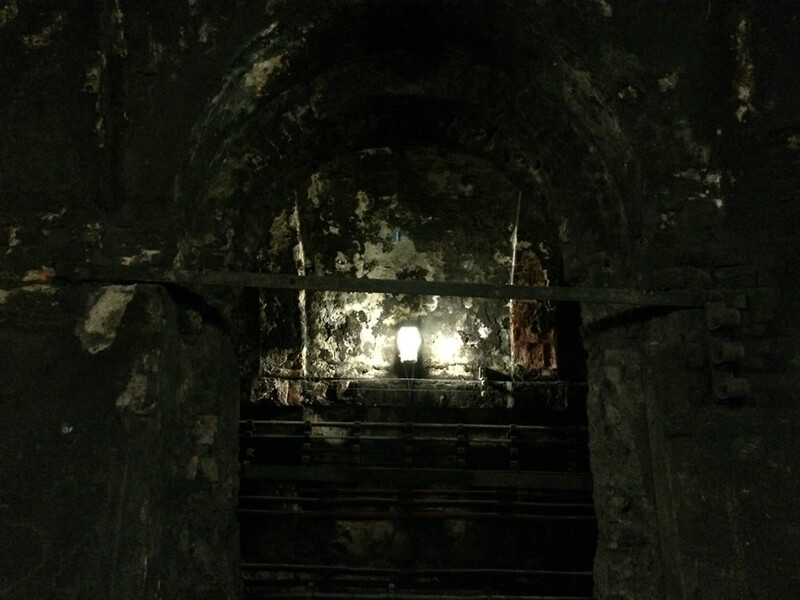 Looking through one of the un-restored arches. 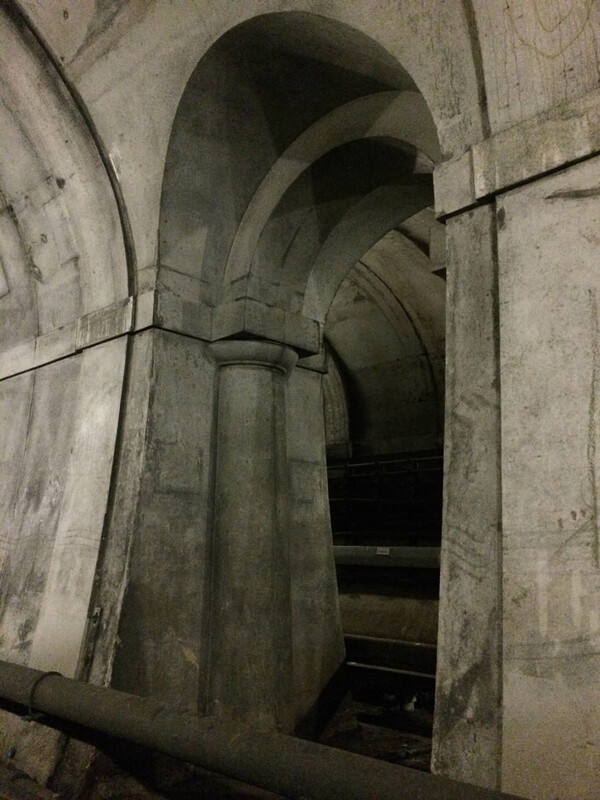 A closer view of an arch (and brace). 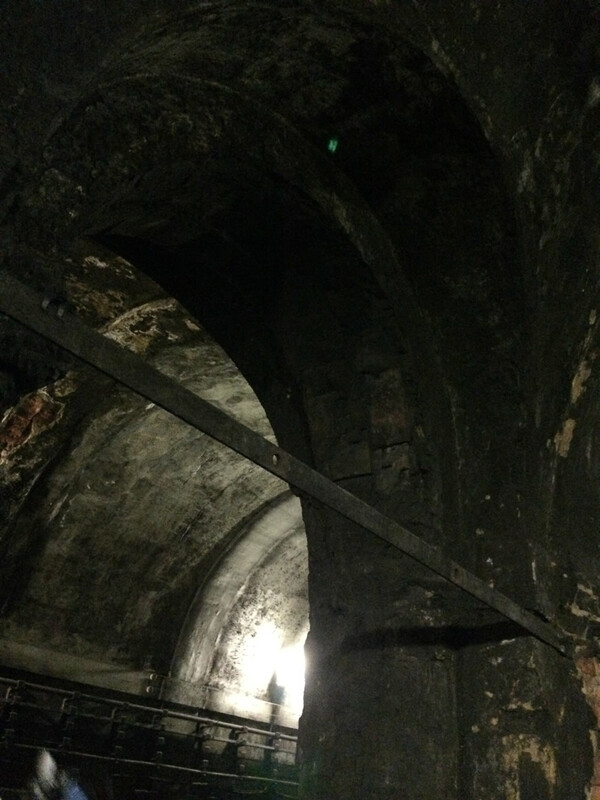 A better view of the un-restored arches. A close up of the brickwork. 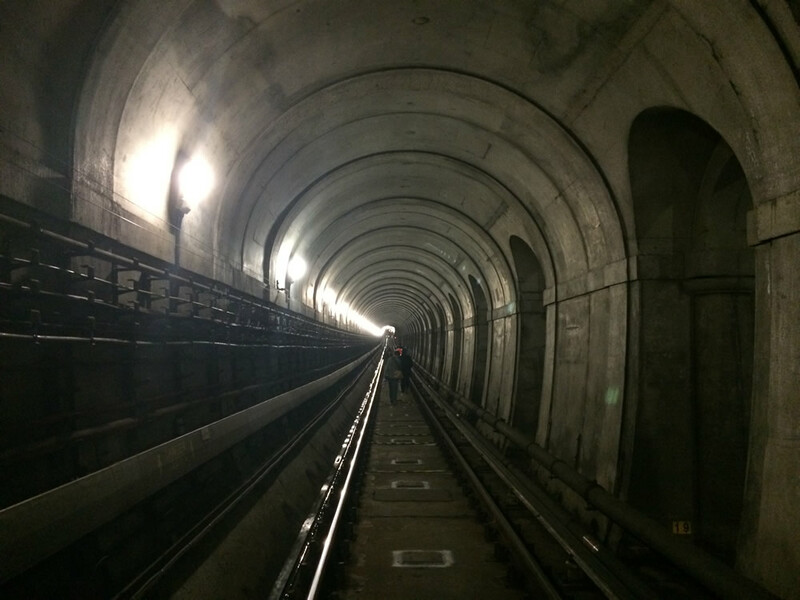 Where the old and new tunnel walls meet. 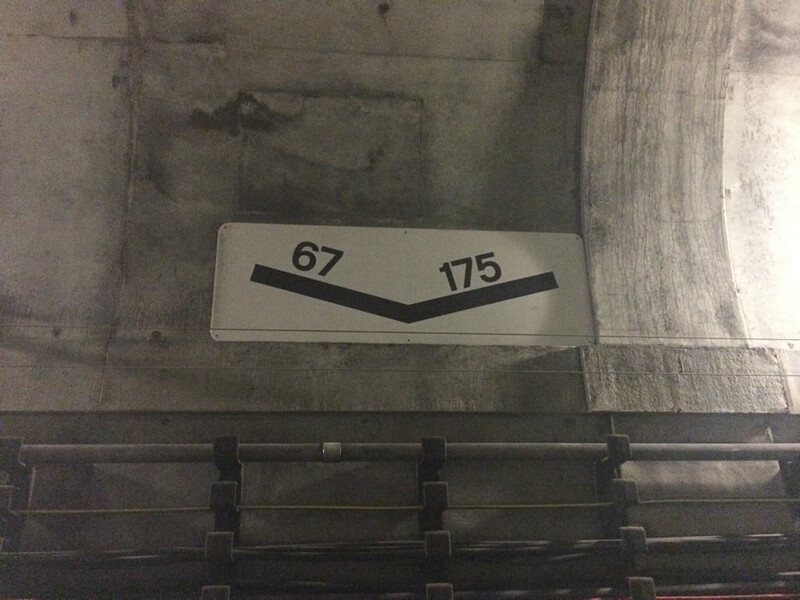 The newer section has been lined in such a way as to match the original style, a very nice touch. 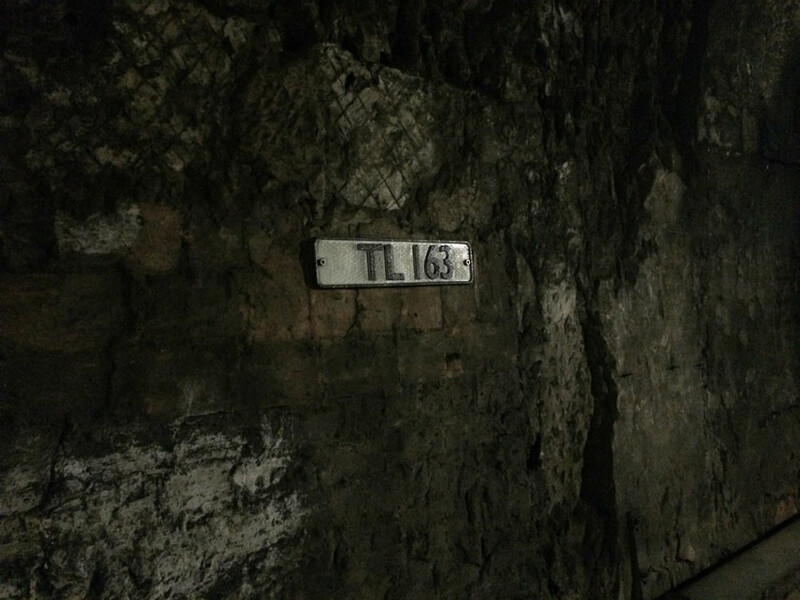 One of the new arches that form the majority of the tunnel length. 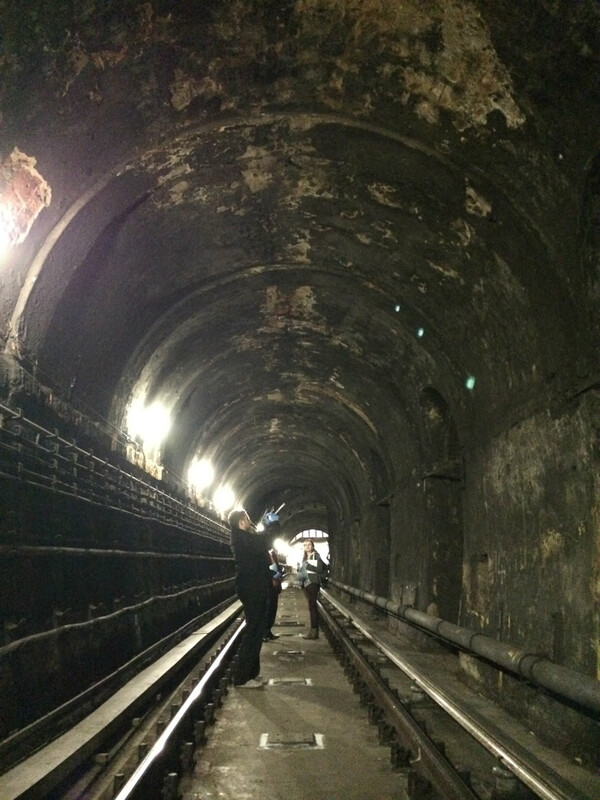 These would originally have held stalls during the tunnel’s years as a shopping arcade. 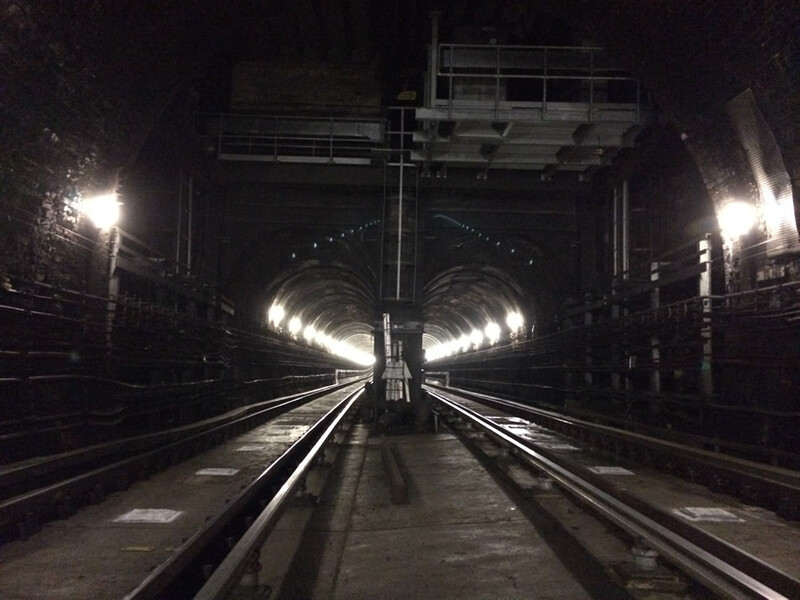 The tunnel entrance at Wapping, where the lack of the railway tunnel extension means a better view of the tunnel opening. 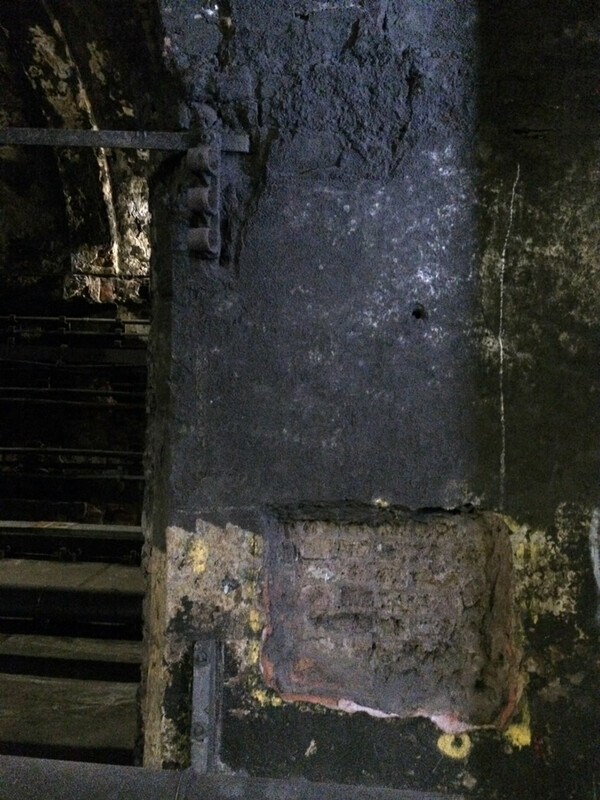 Now part of the Brunel Museum, the original shaft at Rotherhithe through which work on the tunnel was carried out. Note the roof, added in WW2 to minimise the risk of bomb damage. 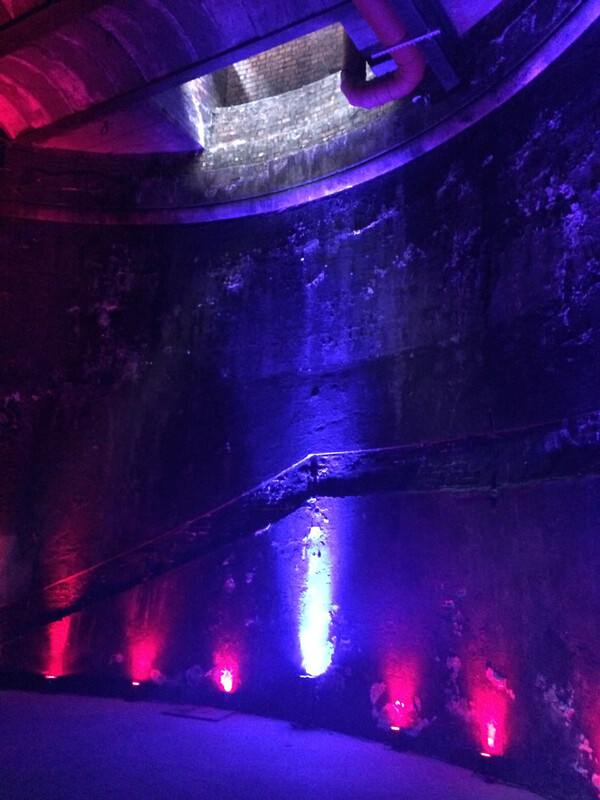 A closer (and more colourful) view of the shaft walls. 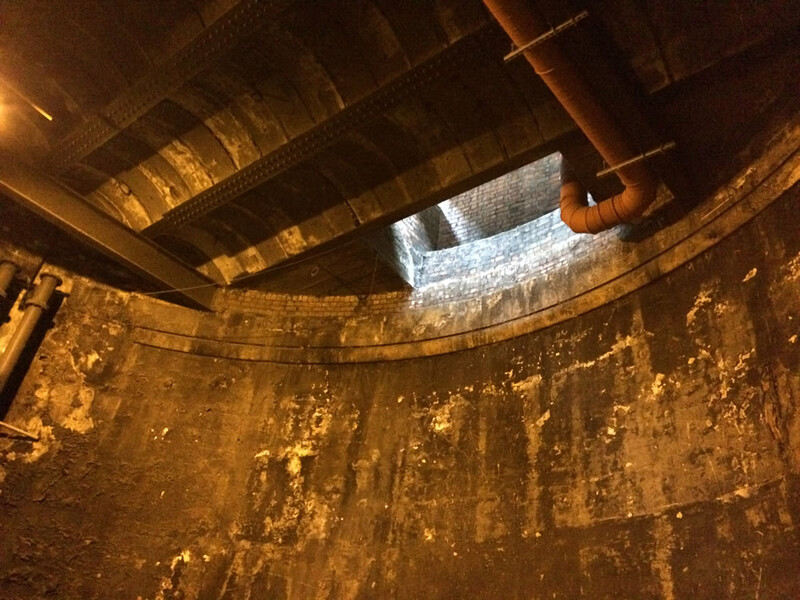 The location of the original spiral stairs is easy to make out.